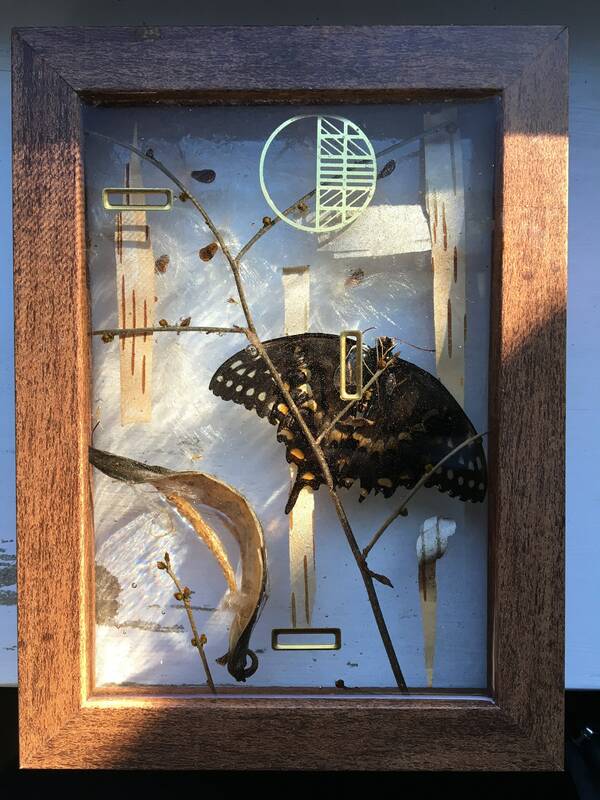 5 by 7 inch shadowbox frame filled with 5 layers of epoxy resin, stripped birch bark, milkweed seeds and seed casing, brass, and a real swallowtail butterfly (naturally deceased and sourced from Philadelphia's Insectarium). Photos can't do justice to the layered three dimensionality of the piece. Can be hung from a wall (hanger already attached) or stood upright on a flat surface.